(Reuters) - Tesla Inc Chief Executive Elon Musk was filmed smoking marijuana, drinking whiskey and wielding a sword just hours before the automaker said its accounting chief would leave after a one-month stint, the latest in a string of unusual behavior and executive departures that have stunned investors. Shares of the electric carmaker tumbled as much as 10 percent on Friday, with investors on edge after a tumultuous August during which Musk proposed and then abruptly pulled the plug on a go-private deal. Chief Accounting Officer Dave Morton resigned because of discomfort with the attention on the company and pace of work during that time, Tesla said in a filing on Friday. 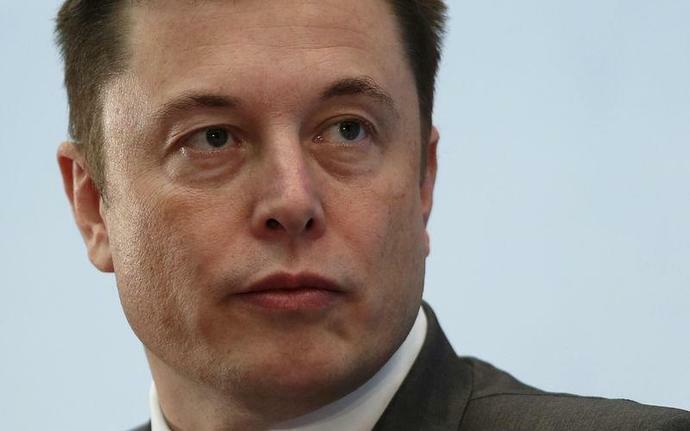 Morton, whose departure comes after the U.S. Securities and Exchange Commission opened an inquiry into Musk's aborted plan, joins a list of executives who have left Tesla recently. Bloomberg reported on Friday that Chief People Officer Gaby Toledano would not return from a leave of absence just over a year after joining. "Since I joined Tesla on August 6th, the level of public attention placed on the company, as well as the pace within the company, have exceeded my expectations. As a result, this caused me to reconsider my future," Morton said in the filing. Late on Thursday, Musk was filmed drinking whiskey, briefly smoking marijuana and wielding a Samurai sword during a 2-1/2-hour live Web show with comedian Joe Rogan that swiftly spread across Instagram and other social media. "I'm not a regular smoker of weed," Musk said. "I don't actually notice any effect ... I don't find that it is very good for productivity." Even before Musk's surprise Aug. 7 tweet that he had funding "secured" for a go-private deal, Tesla had been under scrutiny from investors, analysts and short-sellers as it works to hit production targets and slow its cash burn. Analysts on Friday reiterated their call for Tesla to bring in another senior leader as it strives to expand production and potentially raise more capital. Musk has said he expects the company could turn profitable in the second half of this year. "We have been calling for a co-CEO or COO to assist to codifying the leadership structure and in so doing, the culture at Tesla," said James Albertine, analyst at brokerage Consumer Edge. SOBERING EFFECT ON INVESTORS Tesla's $1.8 billion junk bond maturing in August 2025 plunged as much as 4 cents on the dollar to below 82 cents, a record low, in Friday trading, pushing the yield above 8.8 percent. Tesla shares were last down 7 percent at $261.37 on Friday afternoon. The price of Tesla's junk bond also sank and the cost to insure the debt soared.